KAMLOOPS, B.C. -- Fast-moving wildfires in British Columbia are posing serious challenges for crews fighting to keep the flames from more than a dozen communities, officials said Sunday. As many as 37,000 residents have been forced to leave their homes and are flooding into crowded evacuation centres amid a provincial state of emergency that Transportation Minister Todd Stone said could last "many weeks." More evacuation orders were issued Saturday night as winds picked up in the Interior, jumping highways and threatening to cut off escape routes. Thousands of residents who were told to leave the central Interior city of Williams Lake headed south to Kamloops, which has already become a temporary home for thousands displaced by wildfires this year. Stone said resources in Kamloops are "approaching the point of being a bit stretched," but no evacuee will be turned away. 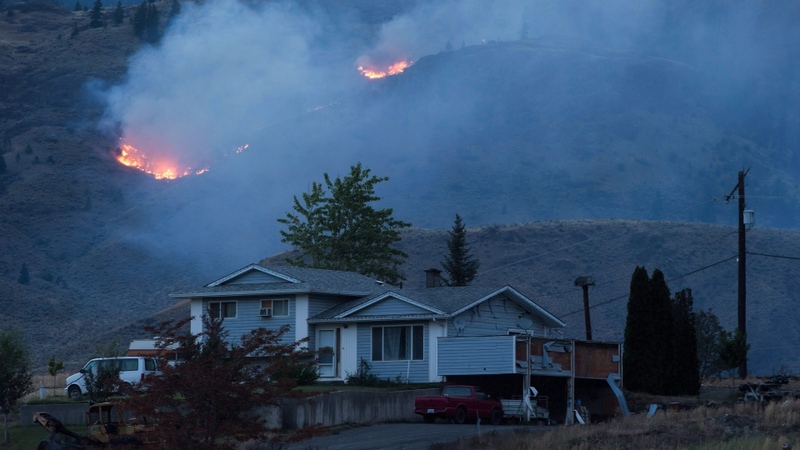 "Officials in Kamloops are scrambling to pull together any and all resources we can to meet the needs of all evacuees who show up here," he said during a conference call. "We are going to get through this. We are resilient." British Columbia last declared a state of emergency because of wildfires in 2003, when more than 50,000 people were evacuated from Kelowna and the surrounding area. Robert Turner with Emergency Management BC said this year's fire season is unique because there are so many fires spread across the province and it's still early in the season. "The difference this time is the geographic scope and that we're seeing multiple communities throughout (the province), and that it's earlier in the fire season so the possible duration of this is different," he said. Kevin Skrepnek, B.C. 's chief fire information officer, said there were more than 160 wildfires burning on Sunday, including 15 that pose a very real threat to nearby communities. "We were seeing violent behaviour out there on many incidents. In some cases we did have to withdraw our own personnel from the fire line to ensure their safety," he said. Hot, windy weather has also caused a fire that started burning near Ashcroft to balloon and fire officials estimate it has now burned through 423 square kilometres. Fire information officer Ellie Dupont said that blaze has gone through a few towns, but she could not say how many buildings were destroyed. She said the fire is burning very aggressively because of the weather, the dry fuel and the region's topography. Every specialist who has come in to work on the fire over the past week has made a comment about how "nasty" the fire is, she said. Another fast-moving fire raced through brush and forest above Okanagan Lake in the community of Lake Country on Saturday, destroying eight homes. The fire escalated quickly, fanned by strong winds and it moved uphill fast, said Steve Windsor, Lake Country's fire chief. "I want you to know we did everything possible to save and protect everyone's homes," he told a news conference on Sunday. "We never want to lose property. It's against our basic nature as firefighters. But given the behaviour of the fire and how quickly it was moving, we did our best." Forests Minister John Rustad said on Sunday that 2,900 people are battling blazes across B.C., including 415 from out of province. There are 203 aircraft assisting in the fire fight. An EC130 helicopter working on a blaze west of Williams Lake crashed on Saturday, injuring the pilot. Rustad said the pilot, the only person on board at the time of the crash, was in stable condition on Sunday. Williams Lake Coun. Jason Ryll said his truck was already packed and ready to go when the alert was issued late Saturday. He said the drive out of town was surreal. "The lineup of traffic, of people, leaving the city was incredibly long. It was a long ribbon of red tail lights, all headed in the same direction," he said. "It was almost dreamlike. A scene of a movie, almost, to be leaving in such numbers from your hometown." 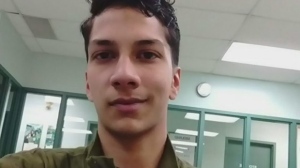 Ryll made it to Kamloops and stayed the night, then headed north on Sunday to meet with the rest of his family members who left for Prince George before the evacuation order was issued. The roads were much less busy after the evacuation order, and the streets are still blanketed in smoke and ash, he said. "It's thick, thick smoke. You can taste it in the air," he said. "It's hard to comprehend." As a city councillor, Ryll said he's frustrated that preventative action wasn't taken earlier. Forests in the Interior "are tinder-dry, waiting for fire," he said. "We've gotten too good at fighting fires .... This is a problem that is not going to go away." More than $81 million has been spent fighting wildfires so far this year.